FRIENDS : Weekend manager Kristen Nelson shares a quiet moment with frequent guest Summer, a frisky nine-month-old Labrador retriever who’s somewhat nervous about photographers. Considering the dearth of housing in San Luis Obispo regardless of species, Thousand Hills Pet Resort, a dog boarding and training campus on Buckley Road, borders on downright extravagant. Guests bed down in cozy suites or snug cottages with pressure-activated heating pads to re-energize for the next day of romping in impeccable play yards well supervised by a devoted, professional staff. Special diet requests and medical needs are catered as a matter of course. And it’s nothing short of a holiday matchmaking service: Personalities are carefully assessed for best compatibility, ensuring a convivial social whirl. Whether they visit for a day or by the week, the pampered guests leave blissfully spent from frolic. But the campsite is now far more than doggie paradise. The class will provide 15 hours of training over the course of a week to the students and their owners. The curriculum includes theory, techniques to avoid distractions, a trip to a nursing home, and addressing such particular therapy situations as aiding people in wheelchairs. Graduates with the right characteristics will earn a Certificate of Completion. “There is no other class like this offered in the county,” Jud emphasized. “With proper training, the owner and dog have confidence in volunteering to help others.” Her own dog, Kathy, is a therapy dog whose gentle, loving nature enriches seniors. At one nursing home an elderly woman usually slumped in her wheelchair always arises to tenderly stroke Kathy’s head. 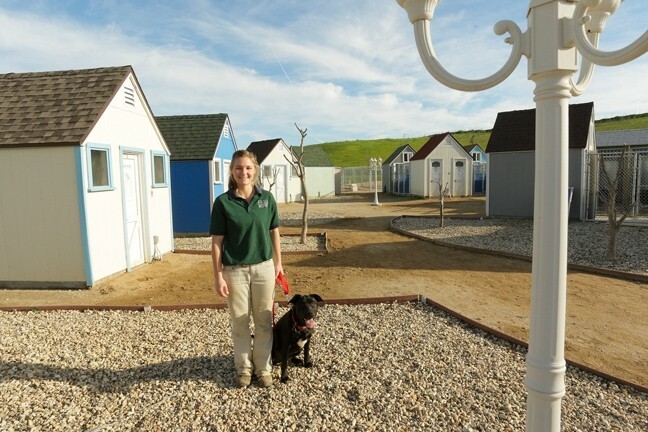 Thousand Hills Pet Resort developed as a way for the Alpha Academy, a nonprofit organization sharing the property, to make extra income. All profits from the resort sustain the academy, which is a residence for young men seeking to shift their lives to a better course. The boys assist the resort in the mornings, where they gain skills for success in any profession. To learn more about the Therapy Dog course, day camp, or overnight boarding, call 596-0112 or browse thousandhillspetresort.com. Thousand Hills Pet Resort is located at 173 Buckley Rd. in San Luis Obispo. Women and minorities please apply today! The Citizens Redistricting Commission is recruiting volunteers and the application deadline is Feb.12. So far, more than 73 percent of the applicants who are vying for the commission’s 14 seats are non-Hispanic whites, and about 70 percent are male. To apply to serve on the independent commission to redraw district boundaries for state Senate, Assembly, and Board of Equalization representatives, visit wedrawthelines.ca.gov/. Do it now. Intern Alycia Kiley wrote Strokes&Plugs this week. Send your business and nonprofit news strokes@newtimesslo.com.